-Licentiateship from British Institute of Professional Photography 1998. -Member of Royal Photographic Sosiety 1996. -Faraj Alajeel Co/ Alajeel Center of Photographic Equipment. -I teached Photography in Kuwait University/ Community Service and Continuing Education 1995/1996. -I teached Photography in Science Club 1995/1998. -I teached Photography in Public Authority for Applied Education and training 1998/1999. -I teached Photography in Bayt Lothan 1998, 1999, 2000. -I teached Photography in Photo Tech. Exhibition 1998. -Taught Photography in photo magazine 1999. -Participated in the first photographic exhibition "The Photographer Finger Prints" 1996. In addition, The second photographic exibition "The Photographer Touch" 1997. 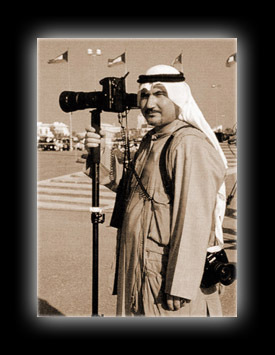 -Participated in the Kuwaiti Photographer Team "The Frame" 1998. In addition, The second Kuwaiti Photographer Team "The Frame 2" 1999.